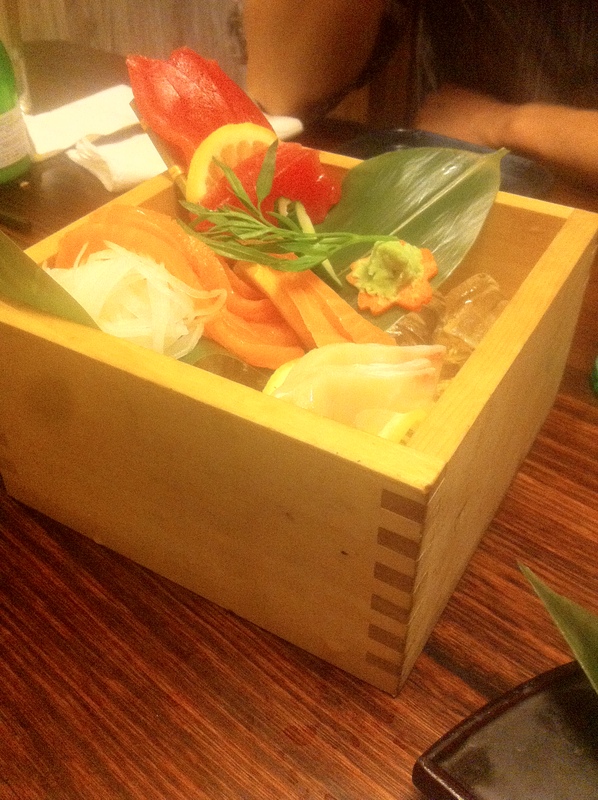 For N’s birthday, my friends and I went to eat Japanese at Maedaya Sake & Grill. From what I saw, the restaurant is separated into two rooms, one being a sushi train/grill type thing and the other having a more restaurant feel with isolated chairs and even an awesome booth at the back which we were lucky enough to be seated at! 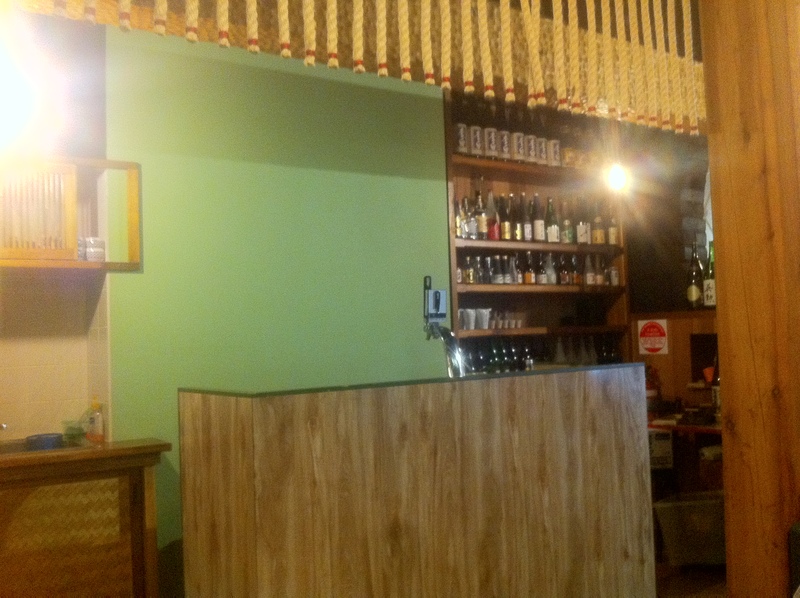 As their name suggests, Maedaya has an extensive display of sakes so its a great place if that is what you like to drink. Personally, I thought the alcohol flavour and smell were way too strong for me. Anyway, interactions with the waitresses were sometimes difficult because they spoke basic English and mainly Japanese; a true indication that this place is authentic. 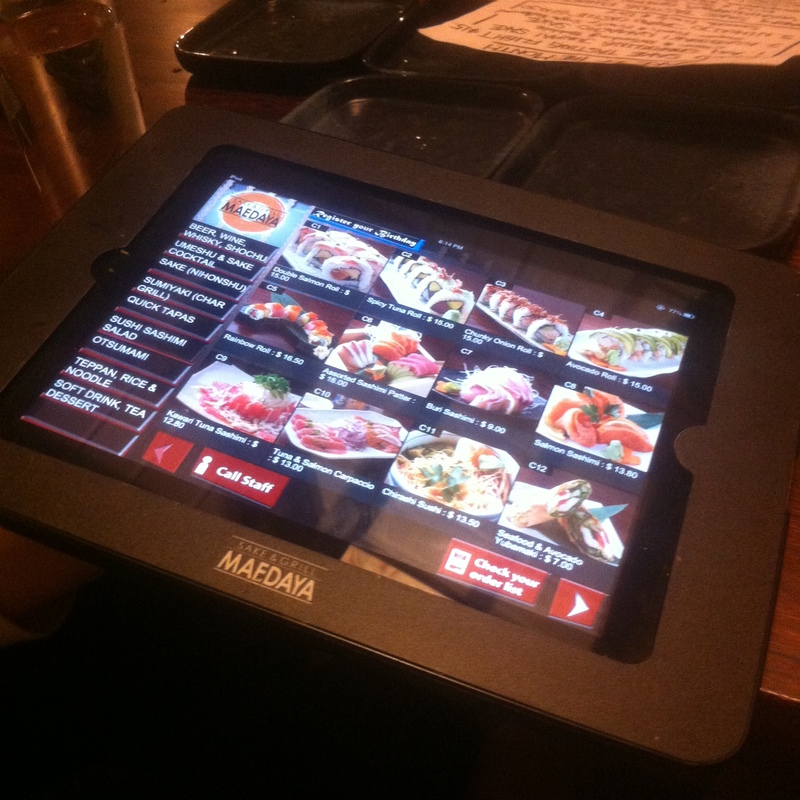 Maedaya has a tablet system which I think is much more efficient and limits the probability of wrong orders and whatnot. However, I would recommend ordering from the tablet as much food as you can, as fast as you can, because some of the menu items sell out pretty quickly; a true indication that this place uses only the freshest produce (fish). 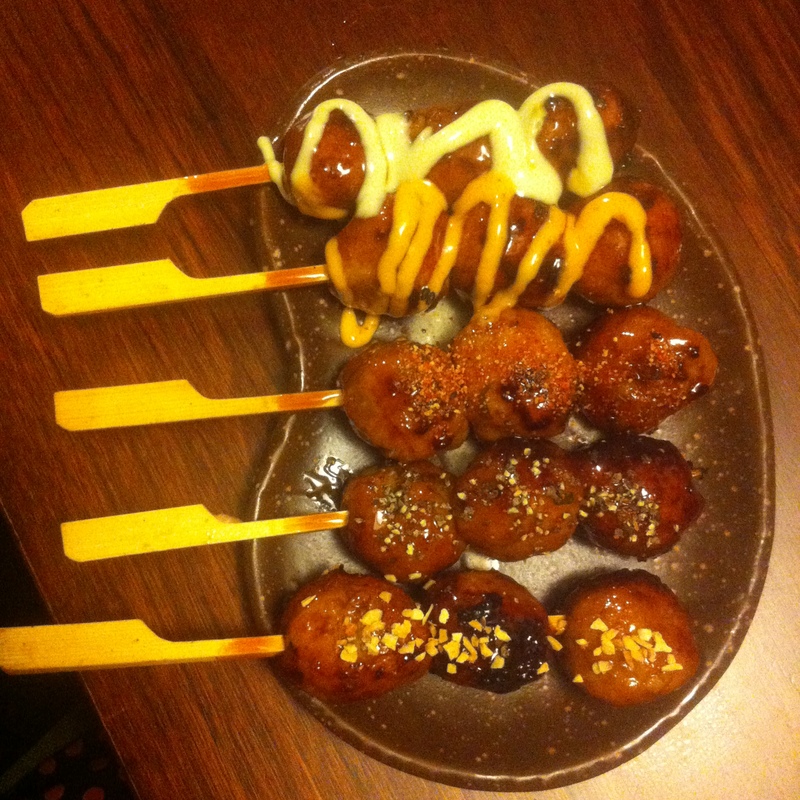 Maedaya Tsukune/Chicken Balls Set ($11) – soft and chewy chicken balls with a variety of flavours and sauces. 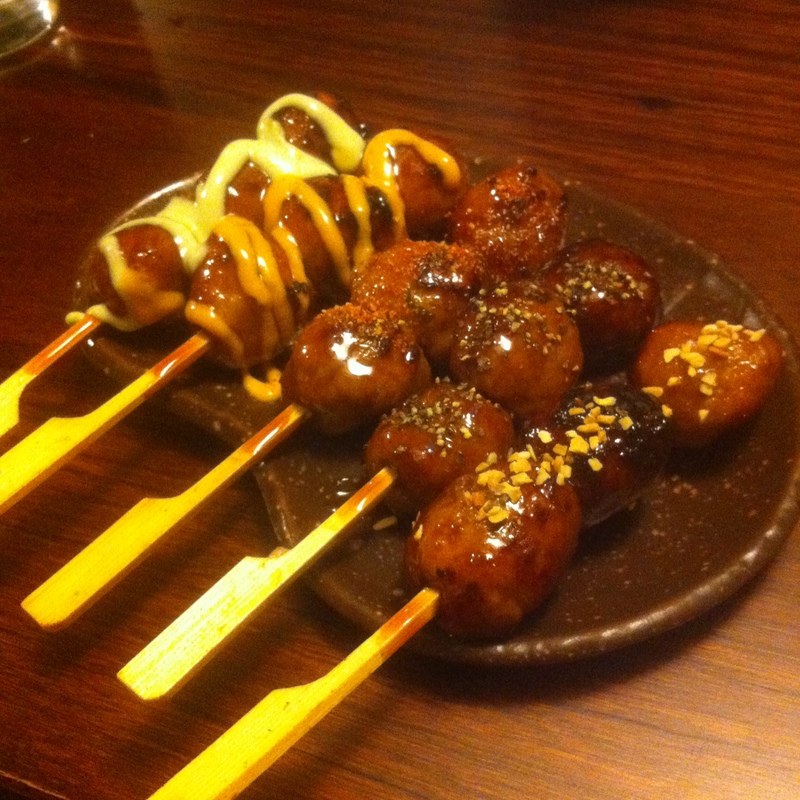 The difference between each skewer was subtle but this set is fit for any palate, although… ok maybe not so much for those who like a little spice (it was more sweet than spicy). 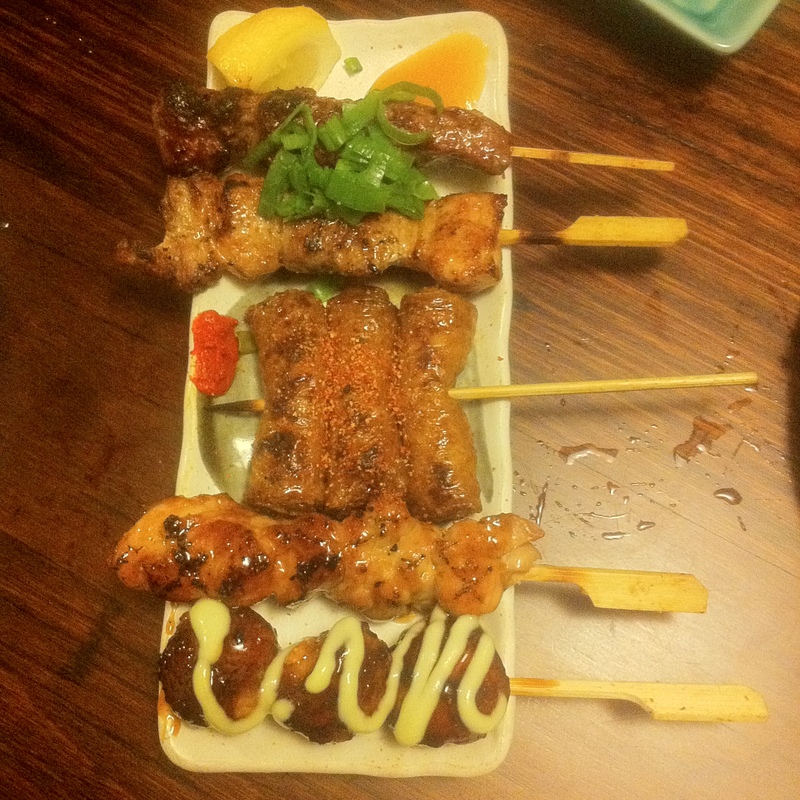 Maedaya Sumiyaki Set ($15) – a plate of various of meats (tofu, chicken, beef and pork belly) grilled and skewered, each seasoned to display a range of different flavours. It was great for sharing and expressing which one was our personal favourites! 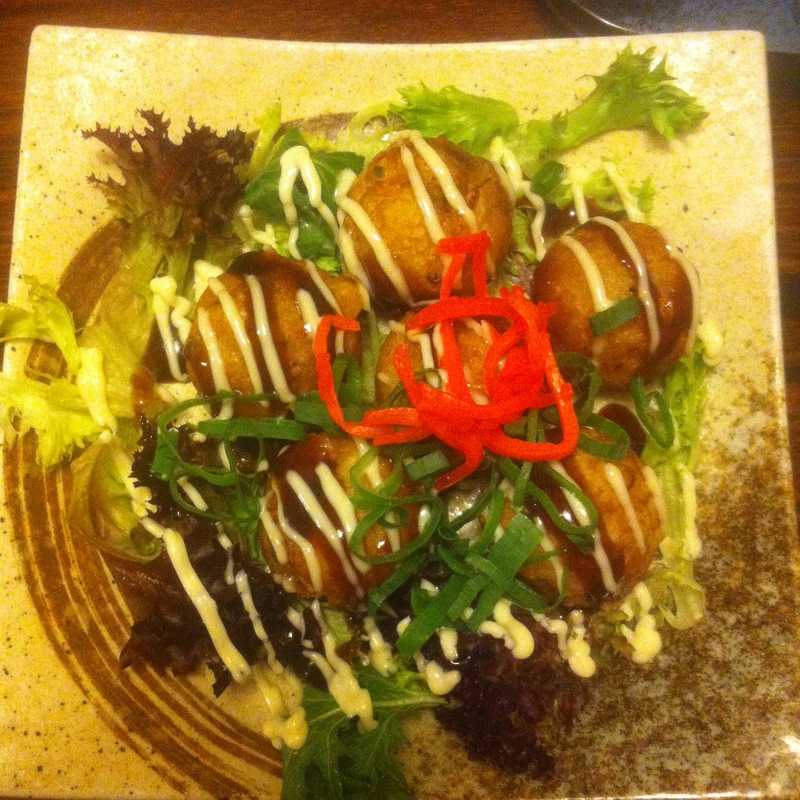 Takoyaki ($5.50) – my takoyaki only had one piece of octopus no bigger than a centimetre big but the flavoursome batter compensated for the lack of filling. The exterior had a crispy texture, whilst the batter inside was nice and soft. 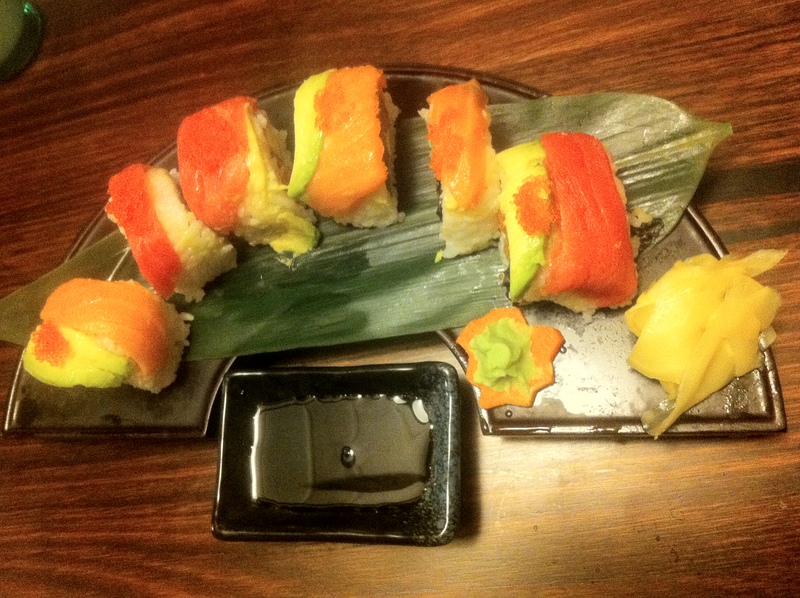 Rainbow Sushi Roll ($16.50) – ingredients and flavours were foreign to me, particularly in a sushi roll but oh so amazing. Creaminess of the cream cheese with the smoothness the salmon were a match made in heaven, both just melted in my mouth. 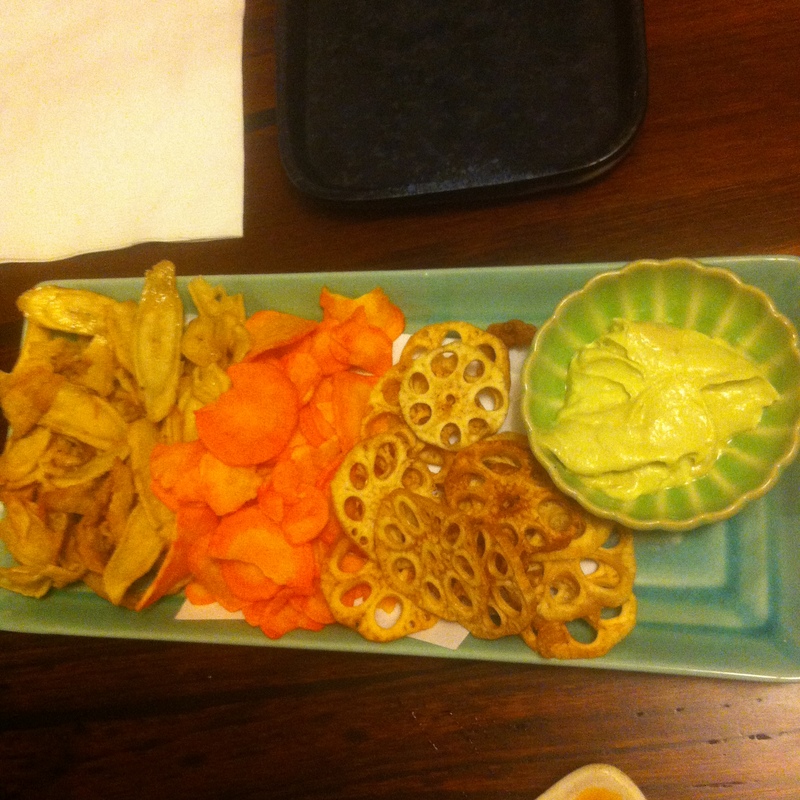 Dipping sauce was also special, with an added vinegar taste for that extra kick. My biggest regret was not ordering more of these beauties before they ran out! 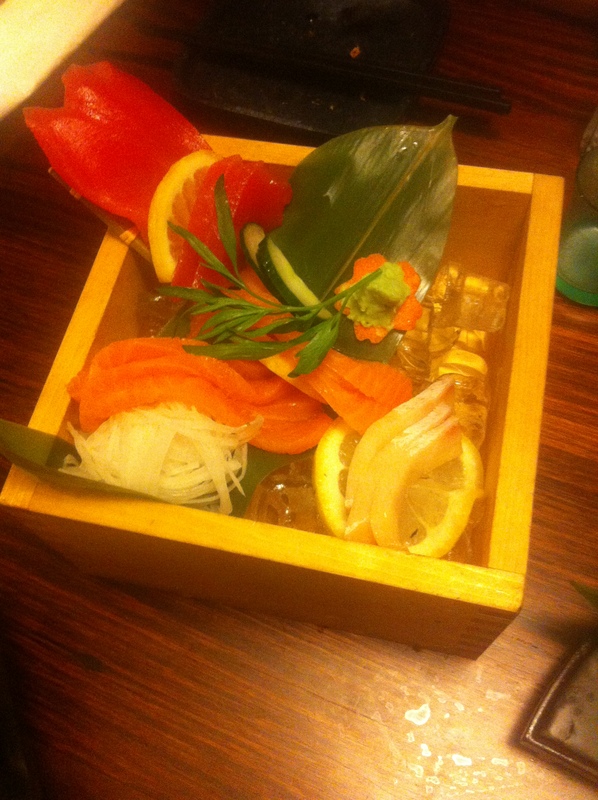 Assorted Sashimi Platter ($16) – the freshest assortment of fish I’ve ever tasted. 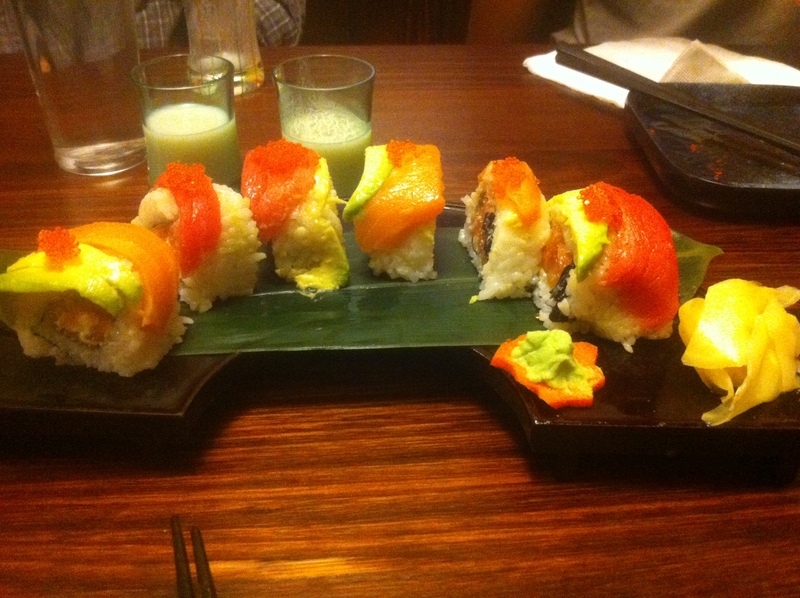 Tuna, kingfish and salmon instantly dissolved on my tongue as I ate it. The delectable taste of each individual fish was so distinctly different. 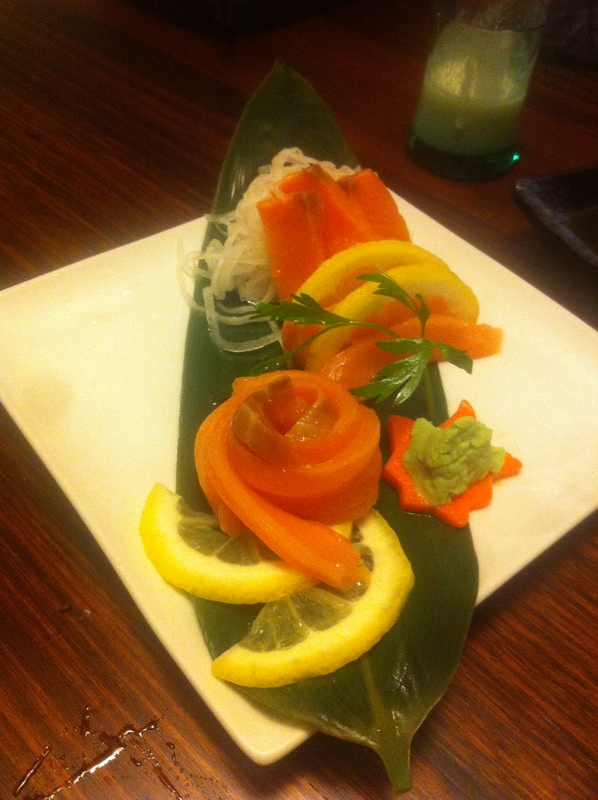 Salmon Sashimi ($13.80) – salmon sashimi was also very fresh and smooth. 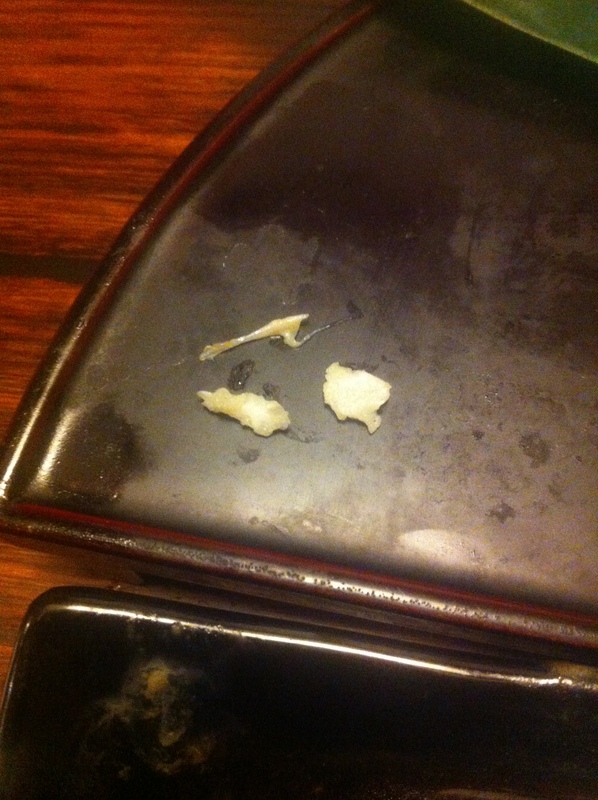 Only downfall were the fish bones, which all three of us girls coincidentally stumbled upon when we ate our sashimi pieces. 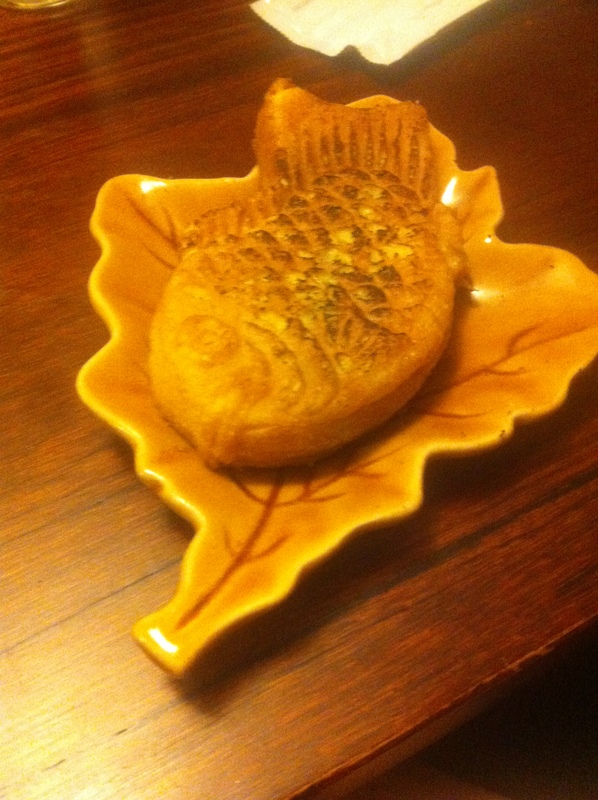 Taiyaki ($5) – taiyaki was difficult to eat. It was heavy and doughy with not a lot of the red bean filling (the ice-cream was a massive help in cutting down on all of dat heaviness). Double Ice Cream (Black Sesame & Green Tea – $6.50) – I shared this with N and the green tea flavour was mine (obviously… haha). 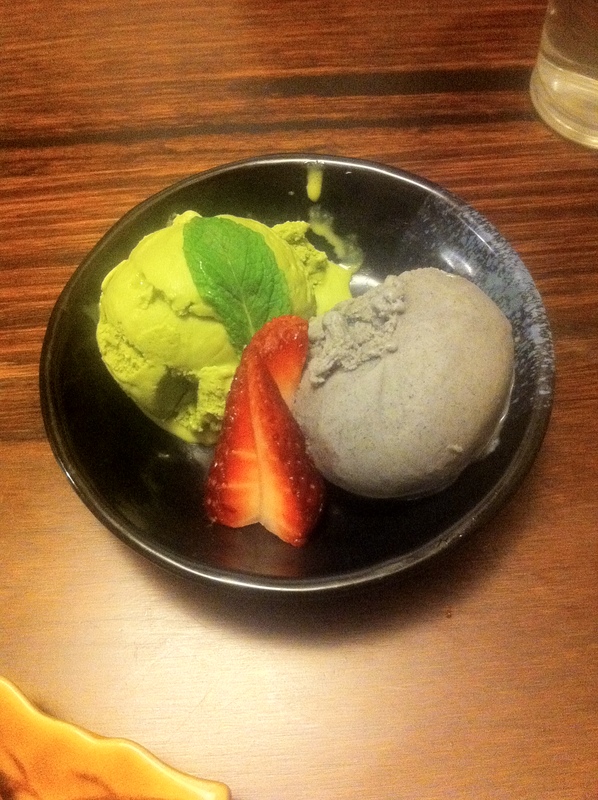 Green tea was creamy and indulgent, and the black sesame was too! 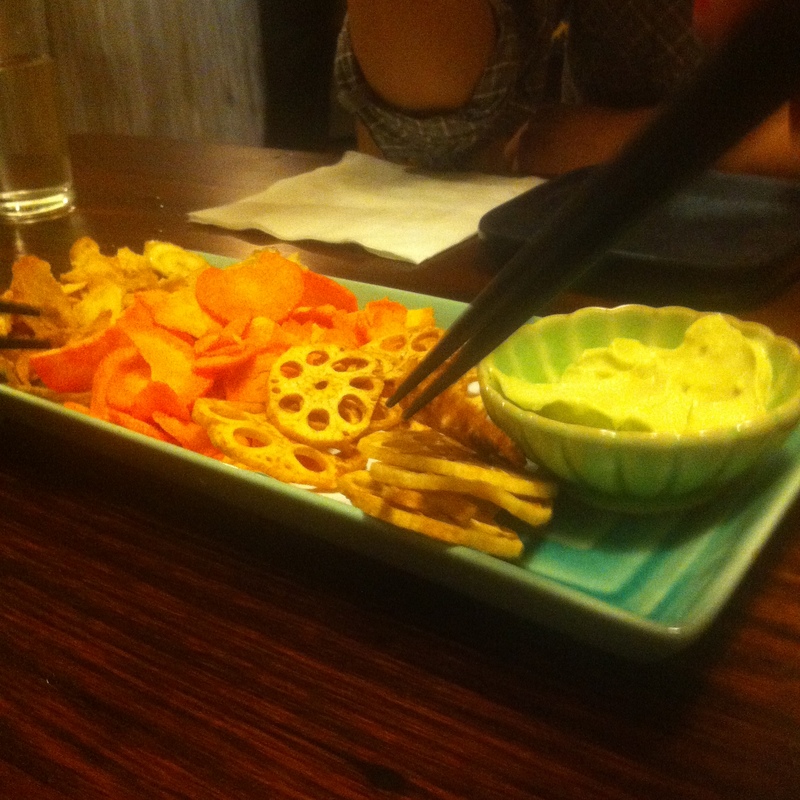 My friends said they thoroughly enjoyed the black sesame, with A.T describing it as having a subtle toasty flavour. 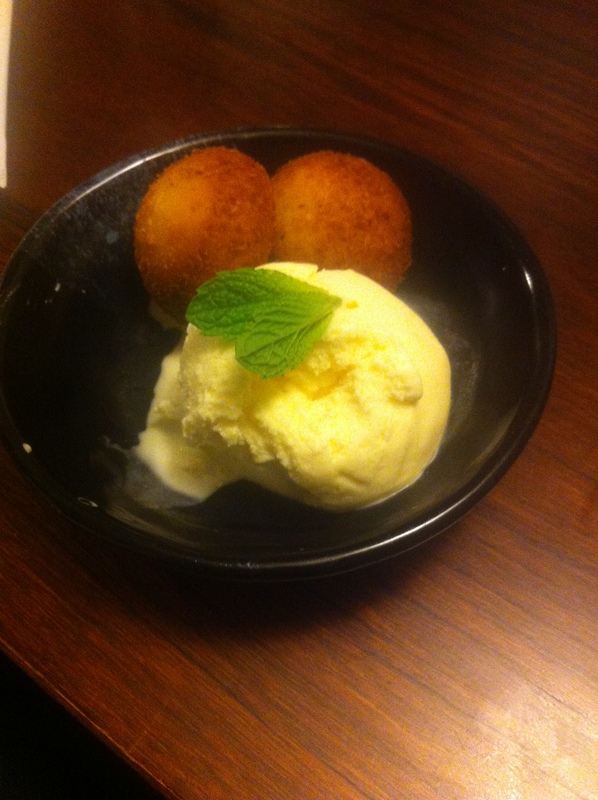 Avocado Chocolate Baked Mini Bread w/ Vanilla Ice Cream ($5.50) – This is what C ordered. She thought it was good and enjoyed it, though a tad oily for her liking. 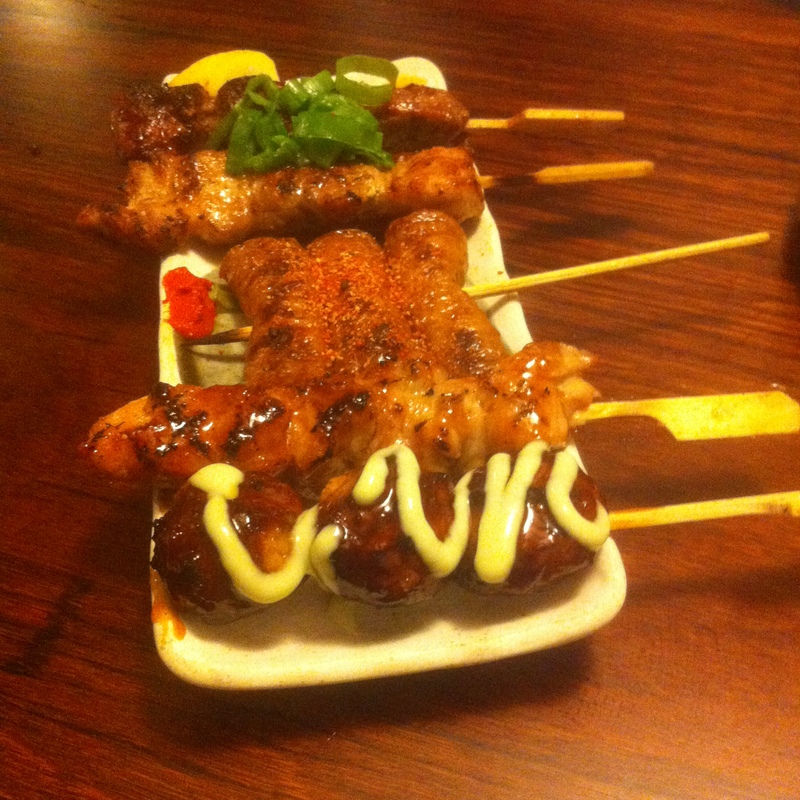 Lowlights: fish bones, boring taiyaki, mediocre skewers, menu sells out quick! 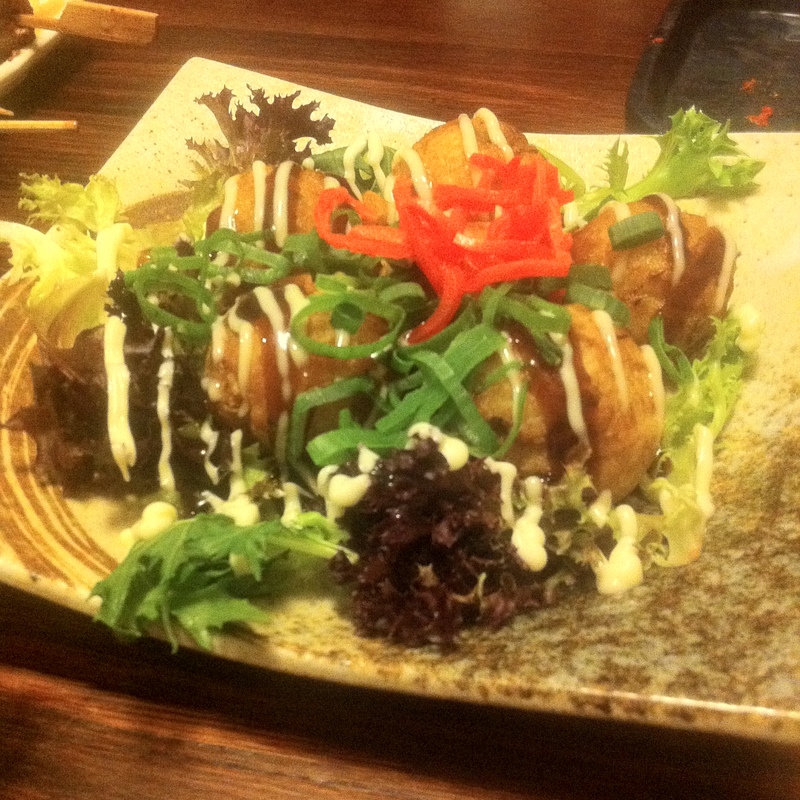 I recently ate at Maedaya as well and really enjoyed the place. Good review with an honest rating. Thanks for sharing.